Tiny Rebel Games and Seed Studio have announced a large expansion for their puzzle RPG Doctor Who: Legacy on Facebook. The game sees players joining the Doctors from the 50-year history of the show, and challenges them to stand up against the franchise’s villains. With this new update, called “The Hunt For Greyhound One,” players will meet new characters and experience content associated with the new season of the popular television show. In this update, the game’s various Doctors will team up to fight the Master. This update also sees players introduced to a beloved ally, Brigadier Lethbridge-Stewart, as well as Rose Tyler, Wilfred Mott, Ace and Idris. The Third Doctor’s car, Bessie, has also been introduced to the game, alongside the Whomobile. “We are so thrilled and honored at the privilege the BBC has allowed us in supporting the upcoming season of the show with the 12th Doctor and his allies on their new adventures. We can’t wait to share what we’ve been working on with our fans!” said Susan Cummings, executive producer of Doctor Who: Legacy. 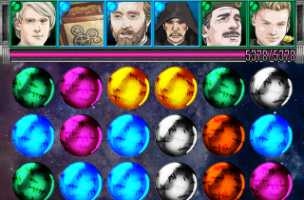 In Doctor Who: Legacy, players complete match-three puzzles in order to attack enemies at the top of the screen. Each Doctor and ally on the player’s team has an associated gem color, and making matches with those gems causes the appropriate character(s) to attack. Players can match pink gems in order to heal, and once gamers have played long enough, or matched enough gems, they can activate each character’s special attack for a boost in battle. Doctor Who: Legacy is available to play for free on Facebook. The game is also available on iOS, Android and Kindle Fire devices.